There is something about the way Hyundai does luxury that makes me think of 60s America. 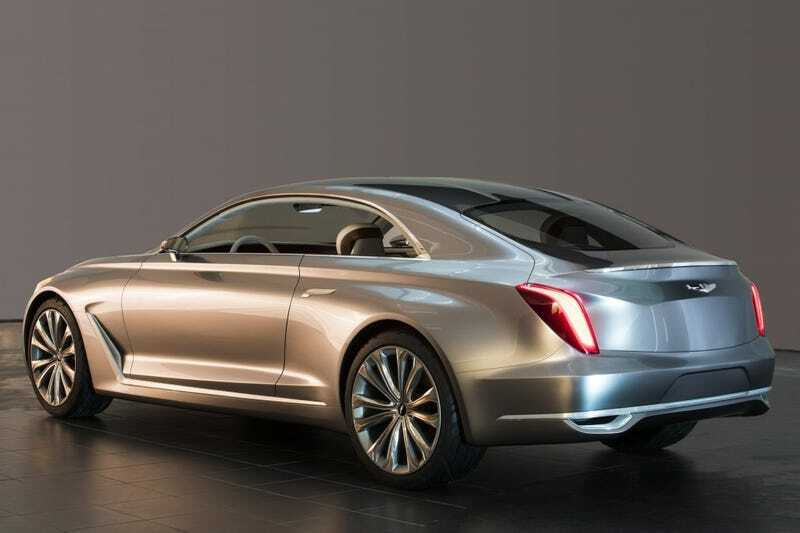 Seriously, their Genesis, Equus, and now this Vision G Concept are all what modern Lincolns should be like. The portions, especially over the rear seats, just seem so much more modern American than European. I like that the Vision G Concept is basically an Equus Coupe to attack the S-Class Coupe rather than bother with the 6-series 2-door or some future A7 2-door. Because the badge is Genesis even though the concept is very Equus, I’m wondering if Hyundai will place Genesis badging on the next Equus and really create this Genesis Luxury subbrand in more of a Land Rover-Range Rover style rather than Toyota-Lexus. Go check out Autoguide’s website and youtube for all the details.